When a helper email is highlighted yellow and starts with 'NONE', this means that no notifications have been set up for that email address. 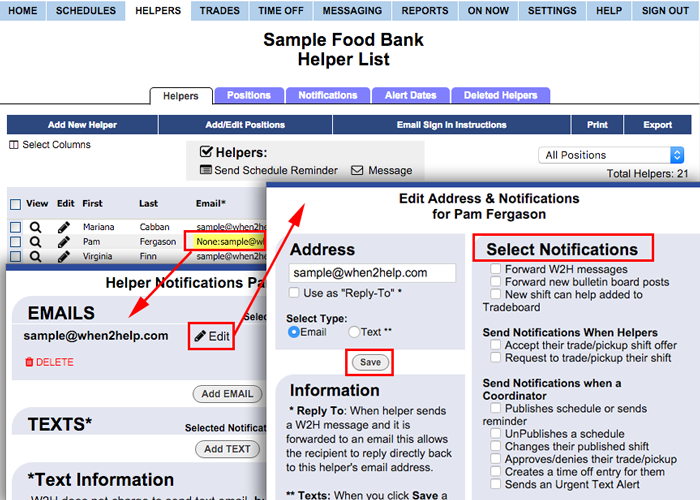 When you first enter a helper email, all notices are defaulted off. Normally Helpers sign in and set up their own notifications. You can send an email with sign in instructions to all Helpers that have never signed in using that link on the List Helpers page. They will receive their username and password via email and can sign in and set up their notifications.